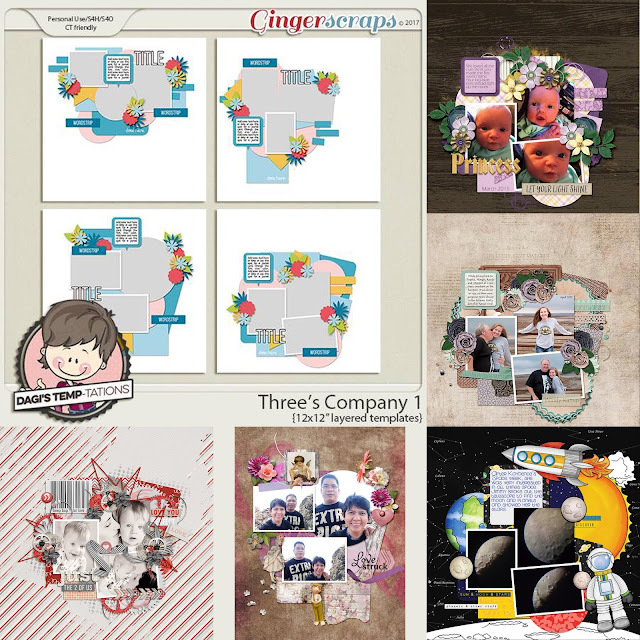 Three's Company 1 templates by Dagi's Temp-tations are just what you need when you have just a few photos to scrap. 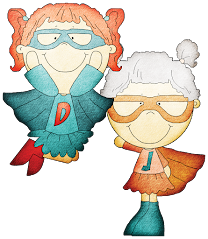 Drop in your photos, add some clusters and you've got your memories scrapped in a flash. 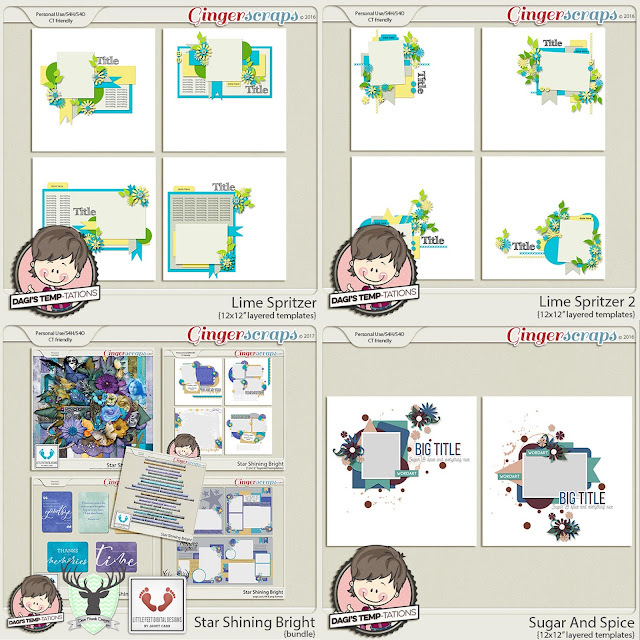 As always, these templates can be rotated, flipped or otherwise altered to fit your scrapping needs. 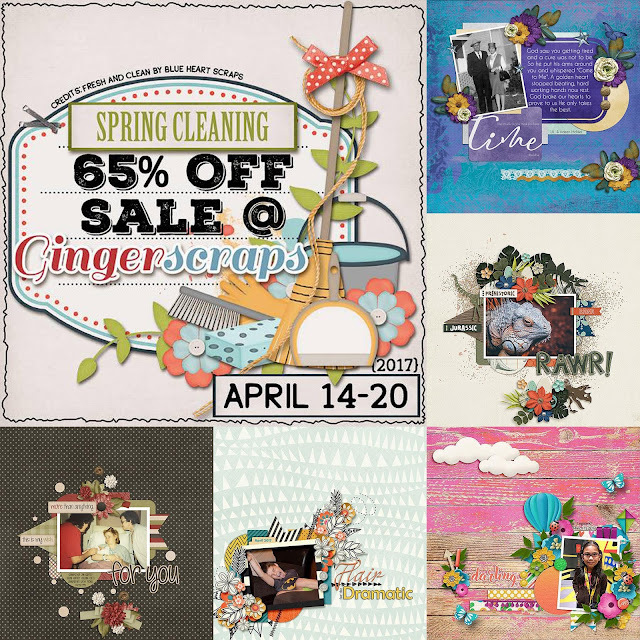 Gingerscraps is doing some spring cleaning from April 14-20th. Selected sets will be 65% off!